Let the Starcraft GPS travel trailer improve your outdoor adventures! 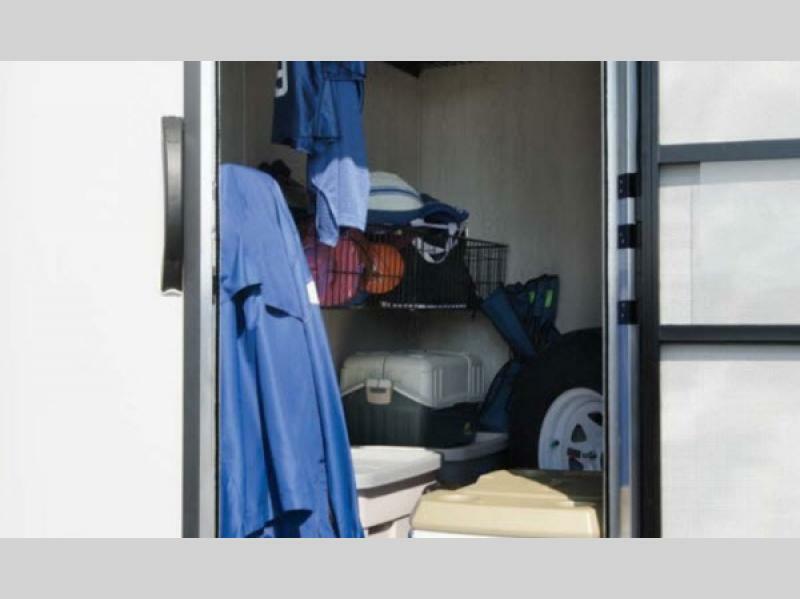 These models feature a patent-pending Starcraft Sport Locker which features 159 cubic feet of storage space along the front of each model. Now you can easily load up your outdoor gear and head out to your favorite destination! 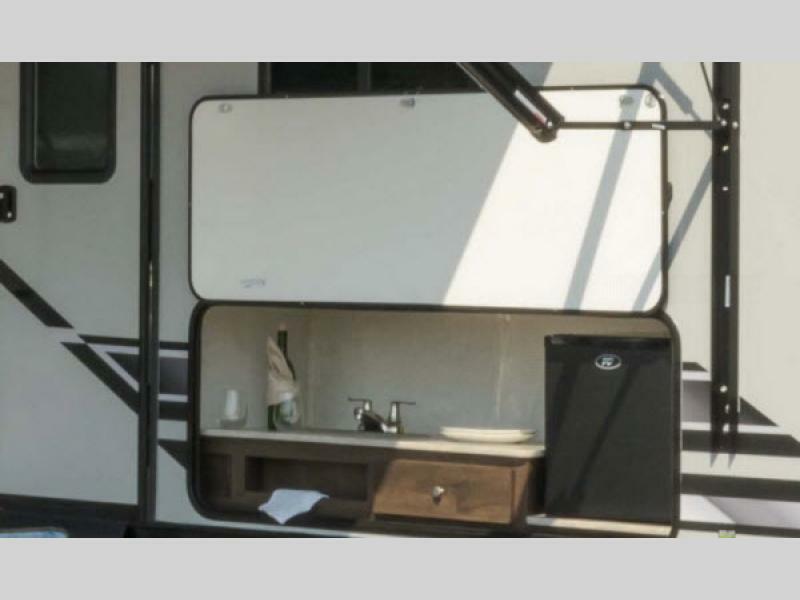 A few other features include sturdy dual fold-down entry steps for easy access either inside the trailer or in the front storage area, plus there is a 100-gallon fresh water capacity so now you can plan to camp longer. There are also a variety of packages available depending upon your camping needs! Get ready to set out to your favorite camping spot with a GPS travel trailer! At Starcraft, we’ve been in the business of making camping fun for over 50 years. Based in the heart of northern Indiana’s Amish country, we’ve built our reputation on crafting dependable campers at affordable prices, using the highest quality materials available. Add an unwavering, Amish-inspired attention to detail and time-tested design principles to the mix, and you’ll understand what we mean when we say Starcraft is camping. Pure and simple. Starcraft began the same year as Ford, Harley Davidson and Teddy Roosevelt.1903-1991: Starcraft’s roots date back to a year in American history when The Rough Rider was President, Henry Ford assembled the first automobile under his namesake, and Bill Harley and Art Davidson founded HOG heaven. Here are some of the highlights from our storied past. Our legendary full line of quality Starcraft RVs didn’t just happen overnight.1992-PRESENT: Well established as a top RV manufacturer in Indiana by the 1990's, today’s Starcraft has expanded product lines, facilities and its workforce throughout North Central Indiana—and its reputable name throughout North America. If you are a dealer, customer or prospective owner, you are experiencing the fruits of a long, successful history. Starcraft continues to focus on our commitment to innovation and leadership as a respected travel trailer and fifth wheel RV manufacturer. The next generation of RVs will be determined by the company that drives it.WHAT’S NEXT: The Starcraft company and its RV brands are gaining in reputation and market share. So how will you benefit tomorrow? It’s a safe bet to say that a name dating back over 110 years and a leader in the RV industry for over 50 years will continue to prosper. With leading-edge product innovation and a customer-first-focus,we look forward to seeing where our next journey takes us.